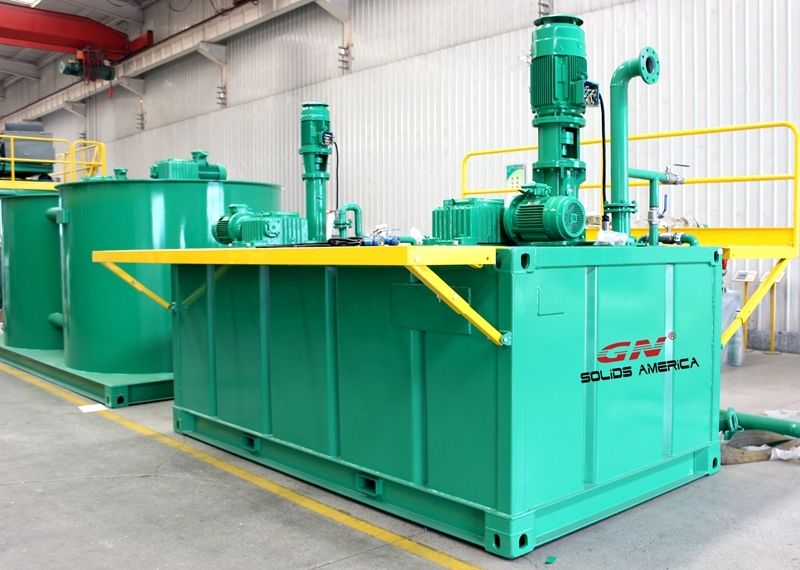 GN Solids Control is a turnkey solution provider for varieties of solids and liquid separation. GN Solids professional engineers help thousands of customers to solve their slurry treating headache. 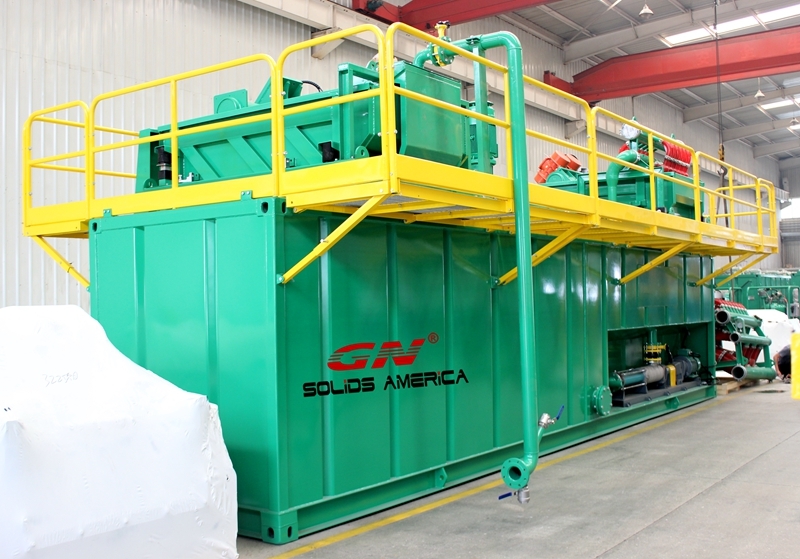 To date, GN Solids Control has delivered a large quantity of customized solids and liquid treating systems. A large feeding hopper is used to collect all the hydro vac slurry first, 2 hydro vac trucks can discharge slurry to the hopper at the same time. In order to keep those larger stones or debris etc out, a metal crossing is fixed inside the hopper. Hydro vac slurry falls off to the coarse shaker first. This is the first phase treating unit, it is fixed with 1mm size opening mesh shaker screens. Treated slurry is collected in the bottom coarse shaker tank. Two submersible pumps and one mud agitator are fixed on the coarse shaker tank. A submersible pump is used to feed into the latter Finer Shaker. And the second submersible pump helps to circulate the slurry with the mud agitator in case block. GN Solids is using a double deck finer shaker, which plays the function of 2 phase treating. 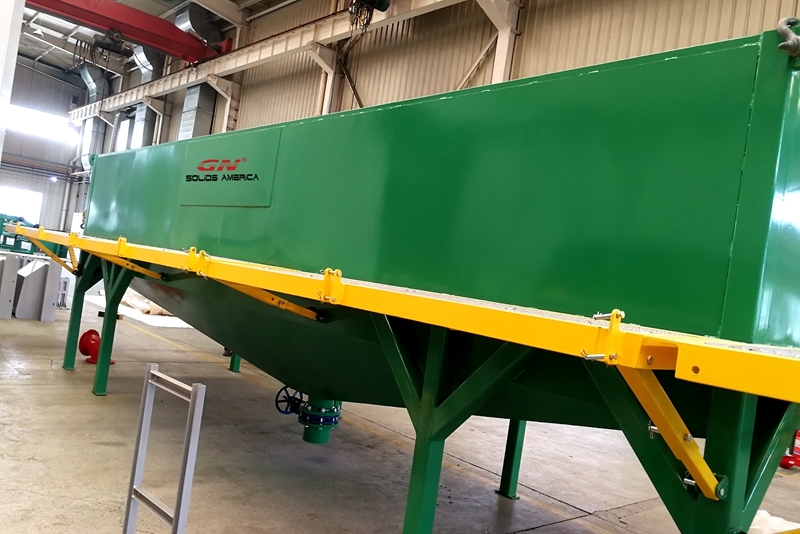 After treated by GN finer shaker, the slurry will be feed into GN desilter which is fixed with 4inch hydro cyclones to eliminate solids larger than 25 microns. GN finer shaker and GN desilter are fixed on mud tank, which are equipped with mud agitators, pipe lines, ladders, guard rails etc. 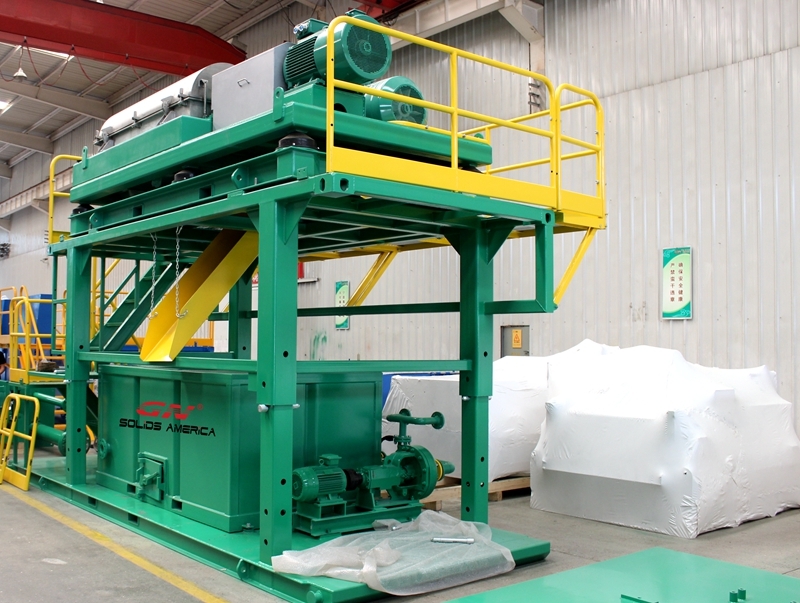 GN decanter centrifuge is one of the key treating equipment in this system. A VFD control box is used to control the feeding pump volume, centrifuge bowl and screw propeller rotating speed etc.